is more than just a job. For nearly 20 years HomeNet Automotive has created ground breaking technology solutions to solve the problems of the automotive industry. While we have grown from our humble beginnings of laptops on card tables, our passion for innovation and creativity continues. HomeNet Automotive is a proud partner of the larger Cox Automotive family which includes Autotrader, Kelley Blue Book, and Manheim. This global network of brands provides end-to-end automotive solutions and gives HomeNet collaboration opportunities with a deep bench of talented companies. When you join HomeNet Automotive, you become part of our diverse team of talented problem solvers. With a dizzying array of unique perspectives, knowledge, and skills, everyone brings their own purpose and personal drive to our culture. This is a place for people who want to be stretched and constantly challenged to think outside the box to resolve different issues everyday. 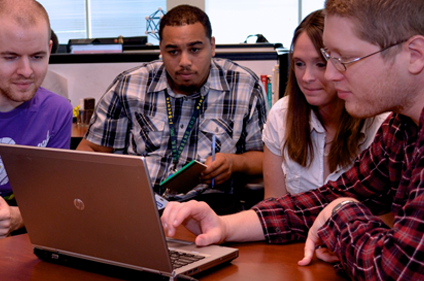 We are empowered to create fulfilling solutions that our clients depend on. Is it really work when you have this much fun? When everyone paddles in the same direction, we have time for a little fun along the way. Enjoy our relaxed atmosphere with other gamers, musicians, riders, campers, tech wizards, and everything in between. 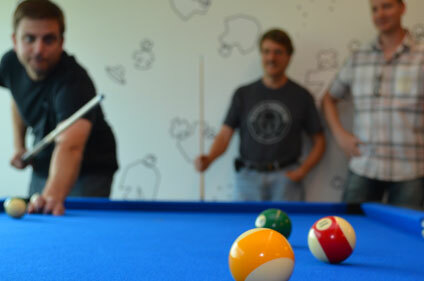 Strike up a game of pool on pizza day or challenge those guys in IT to a foosball showdown. "I get up in the morning because every day I get to solve new problems, build new things, and dream new ideas, and do it with an amazing team of colleagues. I could work elsewhere, but nowhere else I’ve ever been has the character of this place. In short, I work here because it’s fun." HomeNet Automotive is committed to our community and we strive to improve the lives of others. We partner with many service and community groups, from local State Parks and home repair organizations like GoodWorks, Inc. to national groups such as St. Jude, Special Olympics, Ronald McDonald House and the SPCA. 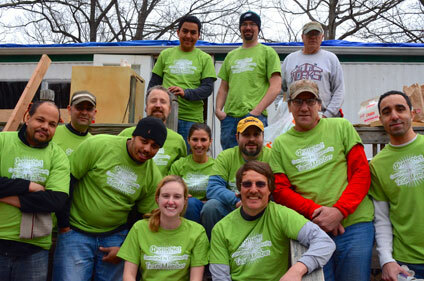 "The GoodWorks, Inc. service day was a humbling experience and an excellent opportunity to volunteer with my coworkers. Each time we participate, we get the chance to know each other a little better while helping others. I'm impressed with how quickly we were able to get everything done on the house and I'm proud to be a part of such a wonderful and hard working team!" When you join HomeNet Automotive, you become part of our diverse team of talented problem solvers. Enjoy our relaxed atmosphere with other gamers, musicians, riders, campers, tech wizards, and everything in between. HomeNet Automotive is committed to our community and we strive to improve the lives of others.